If you or a loved one has been involved in a car accident, it is extremely wise to consult with an attorney immediately. Should it have been caused by the fault of the other driver, you are entitled to bring a claim against that driver’s insurance company to compensate you for your injuries. In the event the at fault driver’s insurance company refuses to pay you fair value, you have the right to bring a lawsuit in a court of law. But it turns out that asserting a claim and successfully receiving fair value on it is near impossible without a lawyer. The insurance company uses its sophistication and superior resources to force most victims into a small settlements without adequate provision for medical care and pain and suffering. This is where a Santa Ana California car accident injury lawyer can help. Alexander D. Napolin is an experienced car accident injury lawyer in Santa Ana California. When you hire him, he provides your case with tested tactics to make sure your claim is as strong as it can possibly be. He also provides a strong voice to stand up to the insurance company. Together, your likelihood of receiving a fair settlement will greatly increase. This is because Mr. Napolin’s tactics and experience in litigation allow him to build and put forth a case that the insurance company will think twice about not paying fair. And, in the event you are not offered a fair settlement, the case is ready for trial. Early legal representation is a must. Do not wait until the end of the claims process to hire the lawyer. This is because you will have failed to properly build your case to bring to trial, and the insurance company will have already built their case against you! So if you have been involved in a collision in or around Santa Ana California, be sure to get an attorney who knows not just how to try a case, but also knows build one against the defendant from day one. When you talk to the lawyer for the first time, explain your injuries and inquire about their strategy and tactics they will use to strengthen you case for trial. If you are looking for advice, you can call our law office for free. When you call 1 (714) 265-7526, Mr. Napolin will personally come to the phone to give you guidance and intelligent answers to questions about your case, all for free and with no obligation to hire him! He does this because he knows that many people need some preliminary help so that they can make an informed decision on whether to hire an attorney or which one to retain. 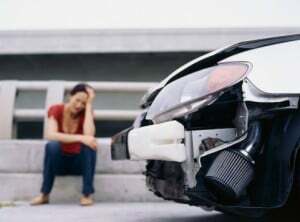 Another way to get a hold us is to submit a case evaluation request form at www.AutoAccidentLawyerOC.com, and you will be contacted promptly. Should you choose to hire us to represent you, you will not pay one dime unless we recover money on your claim. All cases are taken on a contingency fee basis, meaning that the fee is taken as a percentage of recovery, whether it closes with a settlement or a judgment. With no upfront costs to you and with free legal consultations, there is no need to not get the representation that you should have right now! Get the help you need, get our law firm on the phone today!